A few random pics from today’s #nmaahc visit. There’s so much here...it’s quite overwhelming and very emotional. I hate that I only had a few hours, I could spend all day in here. Such a beautiful night here. Meh, didn’t really like this book. 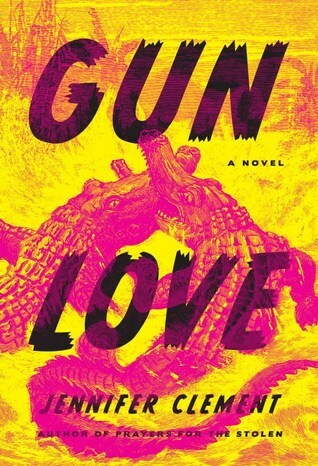 “Gun Love” is the story of Pearl France, a 14-year-old girl living with her mother in a parked car in a derelict Florida trailer park. Intriguing characters abound in and about the Indian Waters Trailer Park: Pearl’s best friend April May and her parents, Rose and Sergeant Bob, the clergyman of gun buy-backs, Pastor Rex, and Corazon, a Selena-loving, gun toting Mexican woman. Pearl and her mother share a special bond until she forms a relationship with a mysterious man who hangs around the trailer park named Eli. I won’t tell you what happens specifically with this character for the purposes of this review, but I will say that after he comes into the novel (about 30% of the way in) the narrative begins to fall apart completely. Characters come and go after this point, and none of them are fleshed out enough to move the story along. I also skimmed the last 10% of this book, the events of which seemed totally pointless. Overall, I liked the writing here but I think the plot could have been handled better. I checked this out from the library last year, read one chapter, then stopped reading it. I admit have a bit of a case of book-ADD at times…if it doesn’t grab me within a short time I’ll keep it on my reading list but stop reading it and move on to something else that sustains my interest. Anyway, fast forward one year later and I’m back in the same library, probably staring at the exact same copy I checked out last year. This time I did read it. And man…I wasn’t impressed. 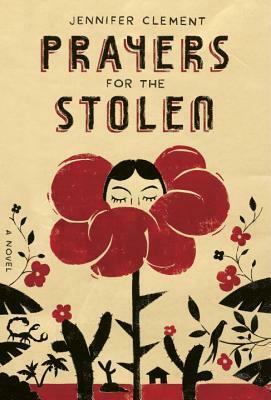 Prayers for the Stolen is the story of Ladydi, a Mexican girl who lives in a mountain village in the state of Guerrero with her alcoholic mother. Her father is gone away to the States for work, as are most of the men in this section of the country. Due to the dangerous drug cartels that frequently roam the area, girls are ‘made ugly’ by their mothers and made to appear as boys (short hair, scars, messed up teeth) to avoid being kidnapped. Girls are ‘stolen’ quite often, however, and during these times Ladydi and her friends are forced to hide in holes they’ve dug in the ground for safety. Eventually, one of Ladydi’s friends is taken by the cartel and she makes the decision to leave the village to become a nanny for a wealthy family. The first part of the book is somewhat decent–Clement has a very minimal style and despite the writing being choppy, the narrative still manages to ‘flow’ together. The second part, after Ladydi leaves the village, is not so fluid as the first. There are a couple of weird plot twists that entered the picture that left me scratching my head and the chapters don’t blend as well together. The characters are not as meaningful and the events became repetitive, more like a series of vignettes rather than a novel. Overall, this book had a lot of potential but didn’t deliver.